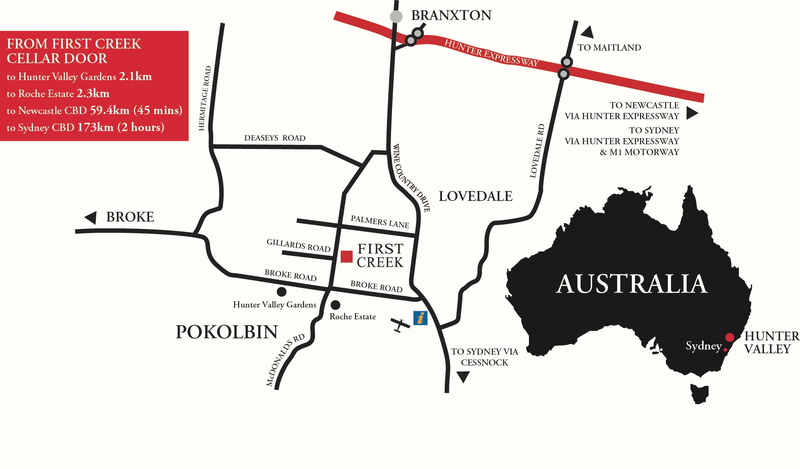 Located in the heart of the Hunter Valley, First Creek Wines is open 7 days. Please contact our friendly Cellar Door staff to make a booking: (02) 4998 2992. We kindly ask for a minimum 24 hours' notice on all bookings.